On the 16th of January the students of La Herradura went to the Juan Manuel Blanes museum and the botanical gardens located in the wealthy neighbourhood of Prado in Montevideo. 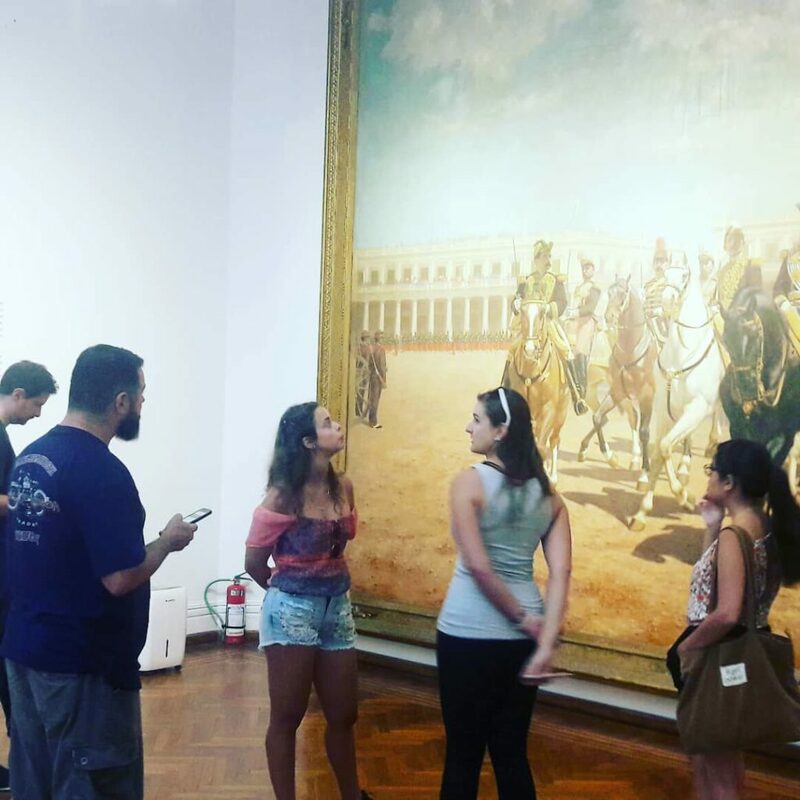 We started off by visiting Juan Manuel Blanes museum which displays an eclectic collection of art from throughout the years since the founding of Uruguay. The museum displays art from numerous artists including Juan Manuel Blanes, Pedro Figari, Rafael Barradas and Jose Cuneo. Blanes has painted a number of pieces which are key to the Uruguayan national identity. The moment of Uruguayan independence was depicted by Blanes’ in the portrait “Thirty Three Easterners”. This displays the moment when the revolutionaries in Uruguay successfully held an insurrection against the brazilian authorities that were in control of Uruguay at that time – this event resulted in Uruguay gaining independence. A further painting of significance to the history of the Uruguayan history was ‘The battle of Sarandi’, another milestone in Uruguay’s history. Blanes was also well-known for his portrait paintings which were particularly successful with the local gentry. His most famous portrait painting was that of Artigas en la Ciudadela, which he painted as a homage to the adored Uruguayan patriot Jose Gervasio Artigas. 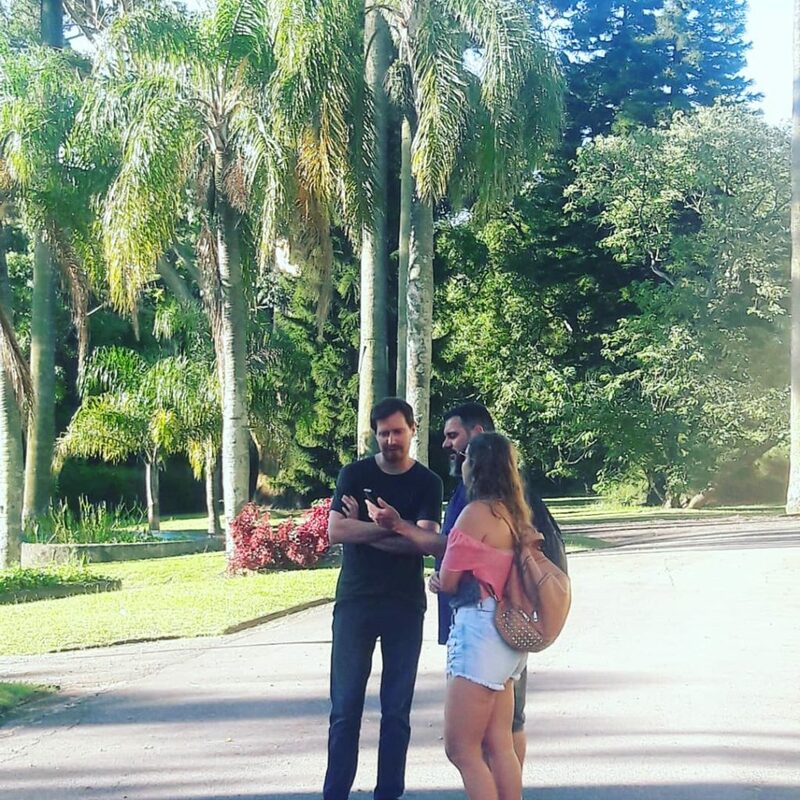 After this we visited the nearby botanical gardens.The Botanical Garden was created in the year 1902 by the Economic Board of Uruguay and named after its greatest advocate, “Atilio Lombardo” who worked tirelessly to instate the gardens. 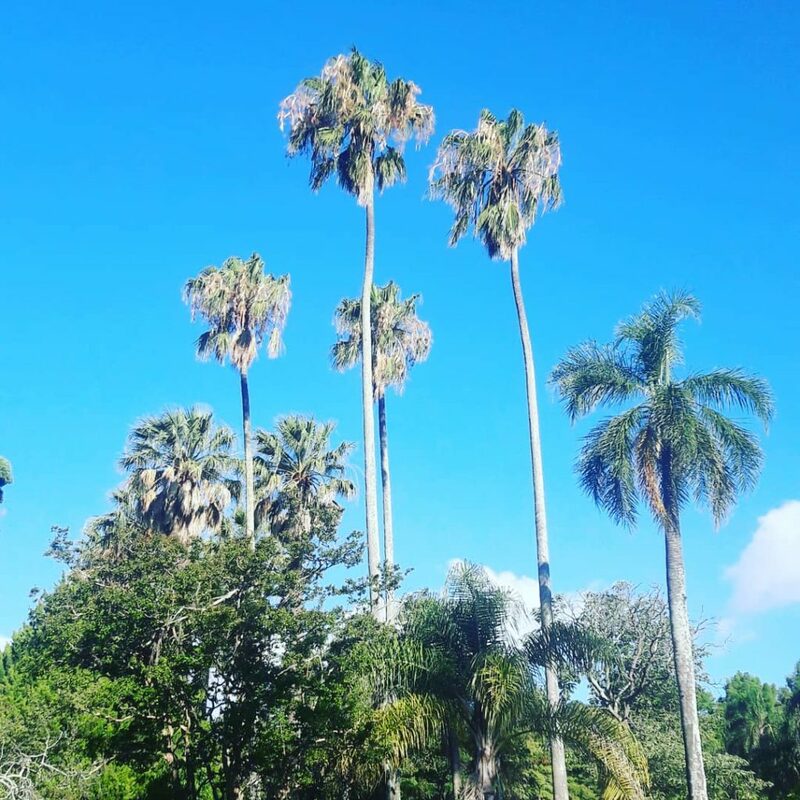 The park is comprised of a huge area of greenery with many different types of plants and trees which Montevideanos are able to admire and be at peace with, as they walk through the extensive area of the park. The park was designed by the landscape architect Carlos Racine. The function of a botanical garden is to illustrate a way of living peacefully with nature and to show us the importance of respecting the environment that we have before we lose it due to our own selfish actions of deforestation and pollution. We also passed many impressive houses due to the fact that Barrio Prado is a very wealthy neighbourhood. The park receives more than 400,000 visitors every year and so that they can recognise the over 1000 different types of plants that exist, cards are placed below the plants which contain their common and scientific names. There is also a greenhouse that exists in the botanical gardens which houses various types of tropical, medicinal and aquatic plants. The international exchange of seeds between more than 500 botanical gardens worldwide allows for the cultivation of new seeds in greenhouses and enables the parks to display many non-native plants as well. At the end we visited a bar also located in the Prado neighbourhood. 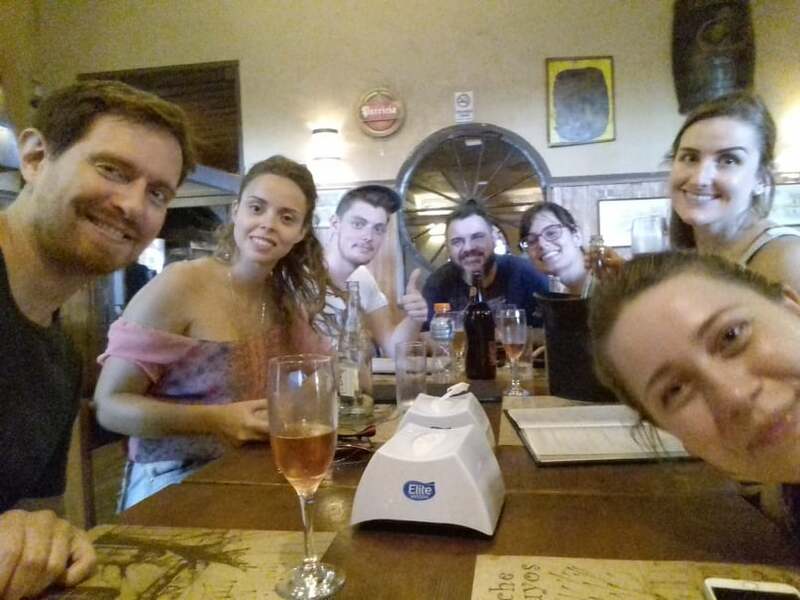 We enjoyed the beers and wines on offer including the traditional uruguayan media y media drink, consisting of a mixture of wine and champagne. There were also a large selection of reasonably priced pizzas so we were able to dine there as well. Overall it was a very enjoyable experience for all the students at La Herradura!